Its a pity PDP has sold their party to Buhari, so what’s the difference if Ekweremadu goes to APC or remains in PDP – they all belongs to Buhari now. Buhari will be ruling via proxy in Atiku (a soft landing designed by Buhari). Surprised? Surprised it’s an APC chieftain that is making all the insinuation. 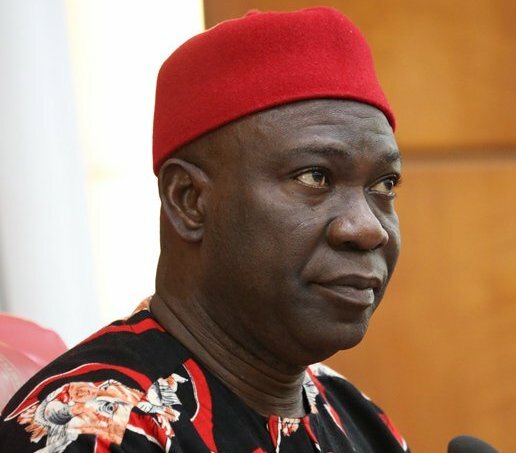 However, if he in collusion with his allies succeed in pushing Ekweremadu to dump PDP for APC, I wish him (Ekweremadu) well, but that will be the height of self-centeredness on the part of Ekweremadu. Good riddance. Let him go. At least he will make room for somebody else to represent Enugu West which he has been hugging for years now. He is not leaving because he is being ignored, like Akpabio he is leaving to protect his personal interest and wealth, to get EFCC off his back. ALL Nigerian politicians are the same, selfish people.